Former Bobcat Maurice Ndour signed a two-year deal with the New York Knicks Wednesday, as first reported by David Pick. Ndour confirmed the signing on his Instagram account. 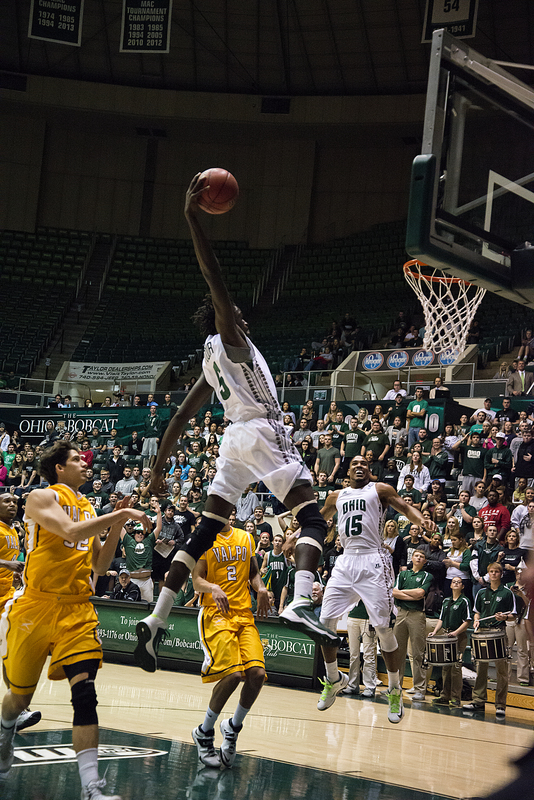 Ndour, a 6-foot-9 forward from Senegal, transferred to Ohio in 2013 and averaged 14.8 points and 7.6 rebounds per game in his two seasons in Athens. He signed with the Dallas Mavericks in 2015 after playing well on the Knicks Summer League team, but was waived in October following an injury. Ndour spent his 2015-2016 season as a member of Real Madrid, but played just 12 games for the club in which he tallied 2.3 points and 1.8 rebounds in under 10 minutes per game. Despite an underwhelming campaign in Madrid, Ndour has been able to prove himself on the international stage representing Senegal. His signing comes on the heels of this 16-point, 10-board and six-block performance against Canada. Ndour outperformed his matchup, Cavaliers forward Tristan Thompson. Only one year of the deal is guaranteed, but when Ndour steps on the court this season he’ll become the first Ohio Bobcat to do so since Brandon Hunter‘s two-year career ended in 2005. Gary Trent was the last Bobcat to have a lengthy career in the Association, playing 11 season for four teams.